‘KIHOU’ is a quite extraordinary, impressive indirect lighting product using two kinds of liquid and air bubbles. A ceramic bowl is filled with sticky liquid and a thin layer of black silicone oil floats on top. 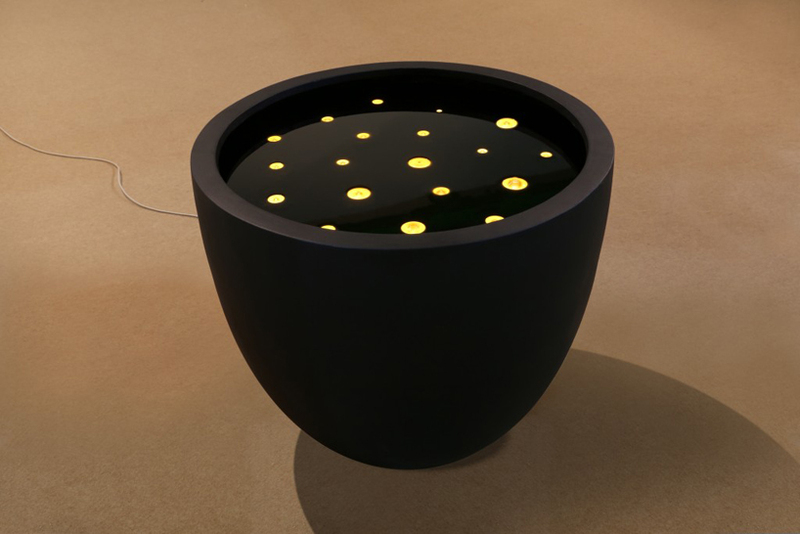 A small pump and LEDs are embedded in the bottom of the bowl, making luminous bubbles rise to the surface from the black liquid. The indirect lighting product uses two kinds of liquid and air bubbles to realize an effervescent effect of pulsating golden bulbs. 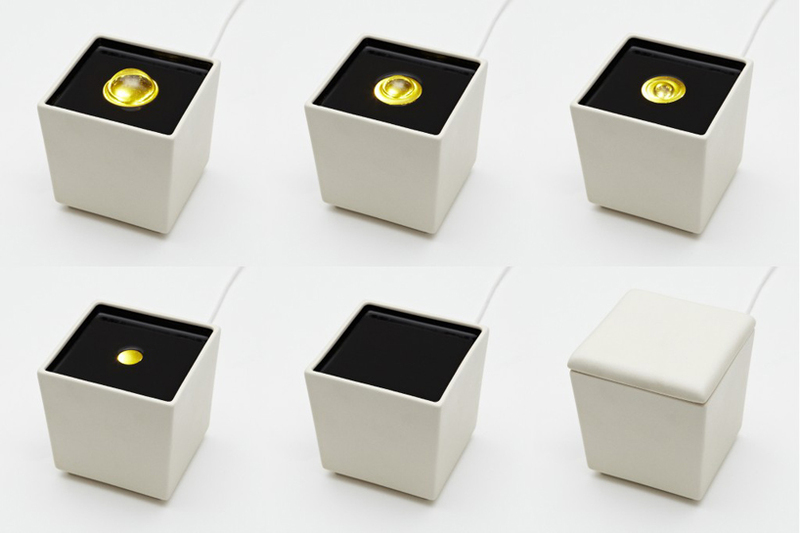 The rhythm of bubbles, the unexpected noise, stickiness of the liquid and lightness of the oil, and the mysterious contrast between the golden light and black surface all breathe life into this small cube, sublimating it into a product that people can feel an affinity with. Tangent Design is known for developing unconventional illumination systems, creating ambient environments that result in sublime experiences as evidenced in this recent work ‘Kihou’. Video and pictures are courtesy of tangent design. New Luximprint Website on Air! 3D Printed Ophthalmics: Fact or Fiction? Interview(s): 3D Printing Lighting Objects and Components – How does the Future look like? Will Luminous Trees be our Future Street Lights?